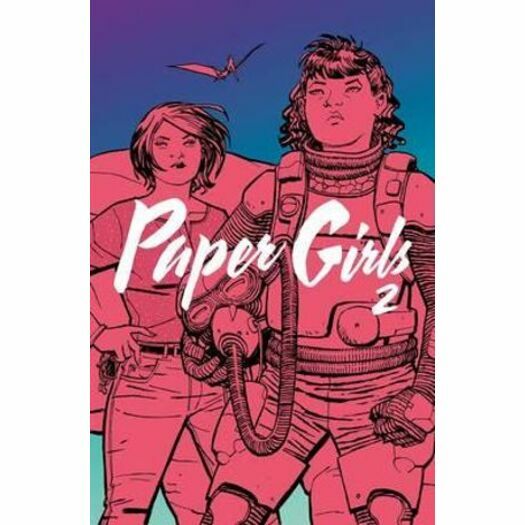 The Eisner Award-winning "Best New Series" from Brian K. Vaughan and Cliff Chang continues with a bold new direction, as intrepid young newspaper deliverers Erin, Mac and Tiffany find themselves launched from 1988 to a distant and terrifying future...the year 2016. Collects issues 6 through 10. Brian K. Vaughan is the Eisner and Harvey Award-winning co-creator of many critically acclaimed comic books, including Saga, Y: The Last Man, Ex Machina, Runaways and Pride of Baghdad. A professional comics writer since his days as an undergraduate film student at New York University, Brian has written every major DC and Marvel character from Batman to the X-Men. He's also written several screenplays, stage plays and short stories, but mostly, he likes to work on the funny books. He also served as writer and story editor on the hit TV series Lost.